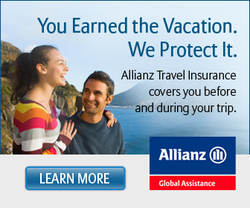 ​Contact and book your travel insurance with your Travel Advisors agent for additional savings! U.S. Department of State - Official website of U.S. Department of State. Get up to date passport and visa information. U.S. Customs - Almost a million individuals enter the U.S. daily. Everyone arriving at a port of entry to the U.S. is subject to inspection by Customs and Border Protection officers for compliance with immigration, customs and agriculture regulations. The more international travelers know about what to expect, the easier and quicker the process becomes. Centers for Disease Control - CDC protects America from health, safety and security threats, both foreign and in the U.S.